Catherine Andersz of PDFTron Systems, Alaine Behler of iText Software and Peter Wyatt, ISO Project Leader for ISO 32000 enrich the newly elected board of the PDF Association. 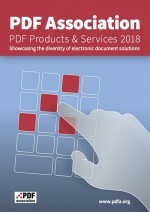 “PDF Products & Services 2018” is now available for download! This volume showcases PDF Association members highlighting the diversity of their offerings. 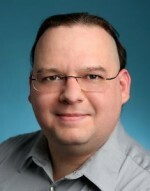 Richard Cohn, Principal Scientist at Adobe and the co-author of PDF 1.0, gave the opening keynote at the PDF Days Europe 2018. On Wednesday, May 16, 2018, directly following PDF Days Europe, the PDF Days Post-Conference offers a variety of workshops on PDF 2.0 Interop or PDF/UA. The No. 1 PDF event – the PDF Days Europe 2018 in Berlin? Great! Here are some hotel recommendations and sightseeing tips near the event location (SI Hotel). Upcoming PDF Day DC proves popular!